Show your support for the LGBT community with this removable wall sticker. 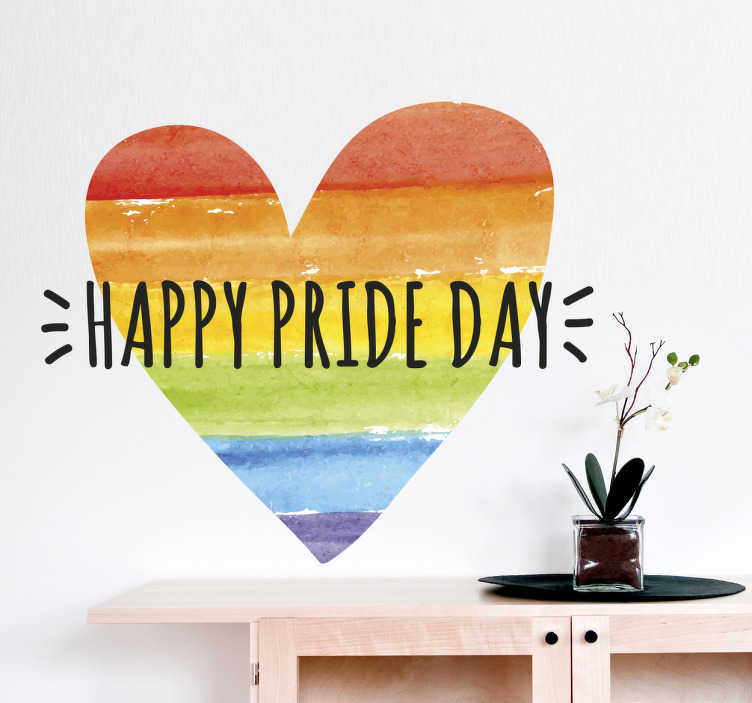 Whether you are gay or just support the cause decorate your home, office or business with this wall sticker. Don't be afraid to show your support for the cause anymore. The sticker consists of the text "Happy Pride Day" with a love heart filled in with the colours of the gay pride flag. Our stickers are easy to apply to any flat surface and make no mess.